← France and paint colors. The ugly stuff is almost complete. 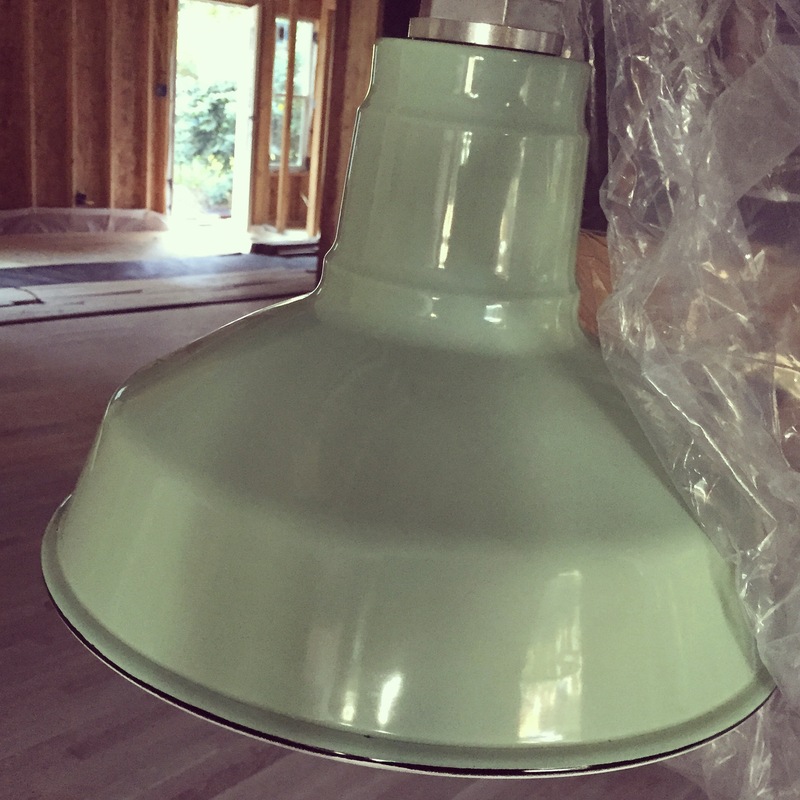 There is nothing pretty about framing, the guts of plumbing, and electrical lines. The infrastructure is necessary, but it is not very exciting. But since the last update, that is what we have been doing. 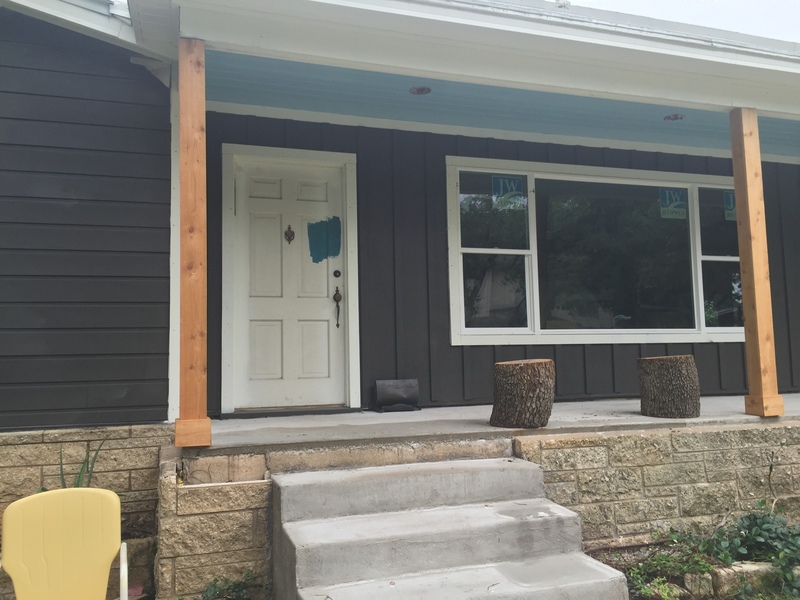 The one pretty thing we have accomplished is painting the exterior of the house. The best bid we received for painting the exterior was still higher than what we expected. So we did it ourselves. I won’t lie; it was the opposite of fun. But it saved us about $4000, which means more pretty stuff. So I will take it. Here’s the current look of the outside. (Here is what it looked like before the change.) 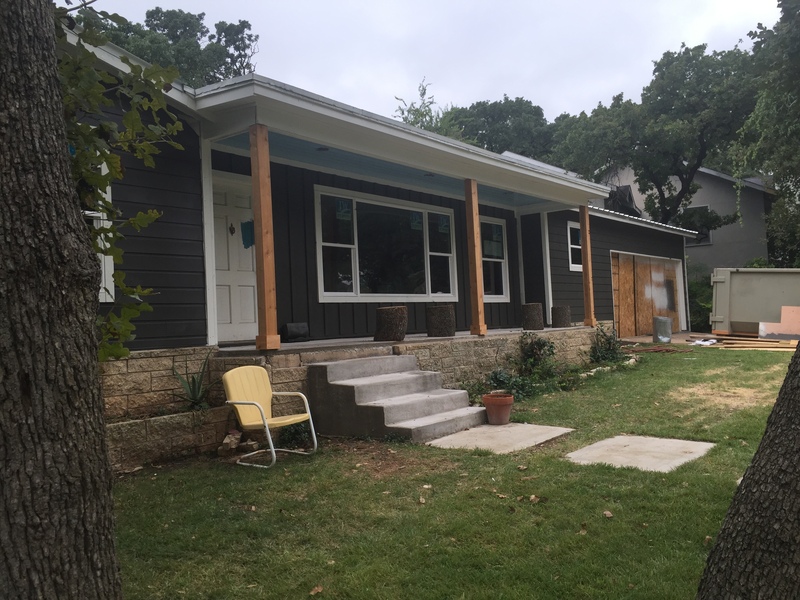 White trim, charcoal gray siding, a blue ceiling, and cedar post columns. Megan bought me two mid century porch chairs that are mint green at Round Top last weekend. I am super excited to add those. Are you impressed with our garage door? In a few weeks we will have a real one, painted the same color as the house. We still need to do the door. Here’s our color choice. We will wait until construction is complete inside for that little project. This pretty guy was on sale at Barn Light Electric and will go over my island with his sister. I am excited about them. 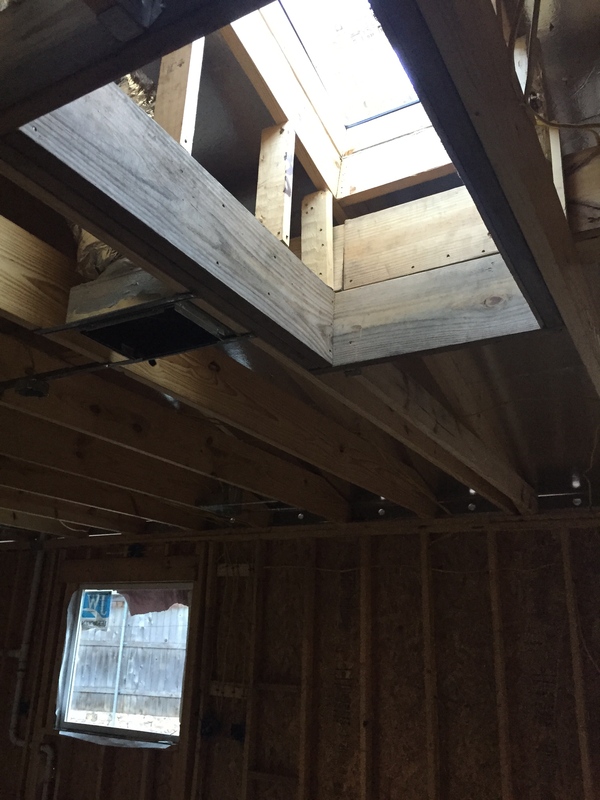 We added skylights in the kitchen at the last minute. I really want there to be a lot of natural light in the space and there did not seem to be enough without them. I am really excited about how they turned out. This is the view of our kitchen, from the mud room. 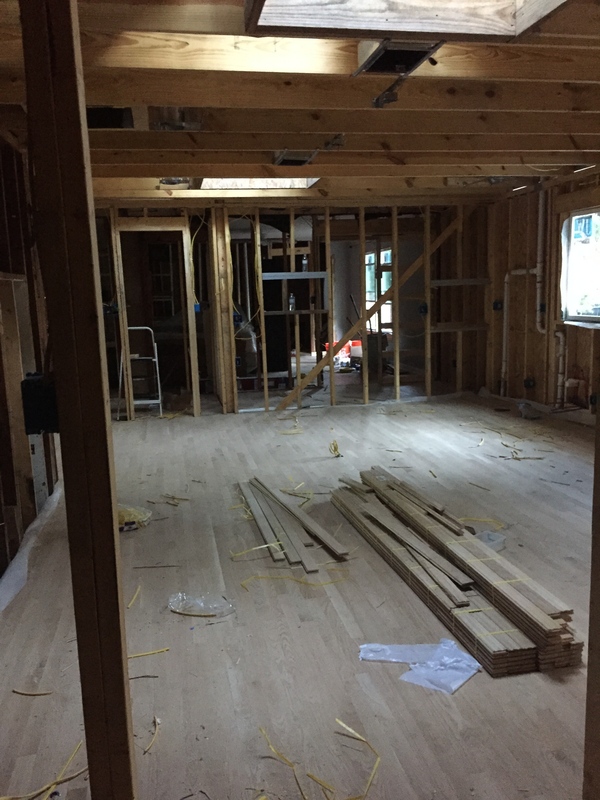 The wood floors are in, but not yet sanded and stained. That will come in a few weeks. We are hopeful that next week will be successful framing, plumbing and HVAC inspections so that we can insulate and put walls in. Then we paint and stain floors. Then move back in to “camp.” Then get kitchen cabinets, appliances, etc. Cabinets are being made now. And I am excited about them. Progress is slow. But steady. Scott has worked harder than I have ever seen anyone work. Showing up before work, at lunch, staying til dark and beyond. Every. Day. He is at Home Depot when they open on most Saturdays and Sundays. He amazes me. He passed his electrical inspection successfully with the inspector complementing his work. His Youtube education seems to be doing the trick! Mainly he is smart. He has put so much thought into where we need certain switches and what will make things extra convenient. I am so grateful for his work on this! Looks so, so great, Chelsea!! I love all of it!